Jacqueline deMontravel She has decades of publishing experience. Formerly the editor of Country magazine, deMontravel held editor positions at Conde Nast’s Self magazine and GQ. She has been a contributor with Hearst’s Harper’s Bazaar. She also worked on the launch of Oxygen Media’s Style website, Jacqueline deMontravel is Editorial Director of all the Well Styled Home magazines and editor of Romantic Homes, Lucky and Black Book magazine.She is also the the author is of eight books, including Hers: Design with a Feminine Touch (Clarkson Potter, 2012), Vintage Vavoom: Decorating with One of a Kind Finds (Clarkson Potter, 2008), and The Vintage Table: Personal Treasures and Standout Settings (Clarkson Potter, 2009).deMontravel renovated her 1950’s Cape Cod beach house in East Hampton, New York, and then moved to Laguna Beach in Southern California where she lives with her husband, son and stepdaughter. Karen Wilhelmsen is a journalist, writer and foodie based out of Southern California. She is the editor of the magazines Flea Market Décor, Go Gluten Free, Make It Organized, Make It Over and Yum Food & Fun for Kids. In addition to her love for the written word and photography, she strives to become a better cook and loves creative projects that express her artistic side. 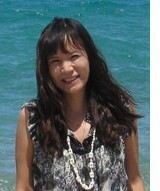 With Yum, she hopes to encourage a healthier lifestyle filled with more family time and an appreciation for great food. Gabby Oh is the Art Director for Victorian Homes, Flea Market Decor, Kitchens, and Bedrooms & Baths. She is passionate about adding creativity and sensitivity to each page of her magazines so that each page looks and feels different. An avid fan of yoga, Gabby says her daily meditation exercise nourishes her creativity.